All children deserve to learn in a safe and supportive school climate. As the Supreme Court emphasized in Brown v. Board of Education, “it is doubtful that any child may reasonably be expected to succeed in life if he is denied the opportunity of an education.” In recent years, Maryland schools have recognized the link between positive discipline models, school climate, and academic learning. Many districts have embraced “restorative practices”, which is a relationship-focused approach that focuses on building safe, respectful school communities and provides a continuum of tools to promote positive student behavior, and hold students accountable for misconduct in constructive ways. The Maryland State Department of Education has recognized that the goal of school discipline should be a “rehabilitative one.” Maryland state law requries that every local school district “provide a continuum model of prevention and intervention activities and programs that encourage and promote positive behavior and reduce disruption.” Md. Code Ann., Education §7-304. 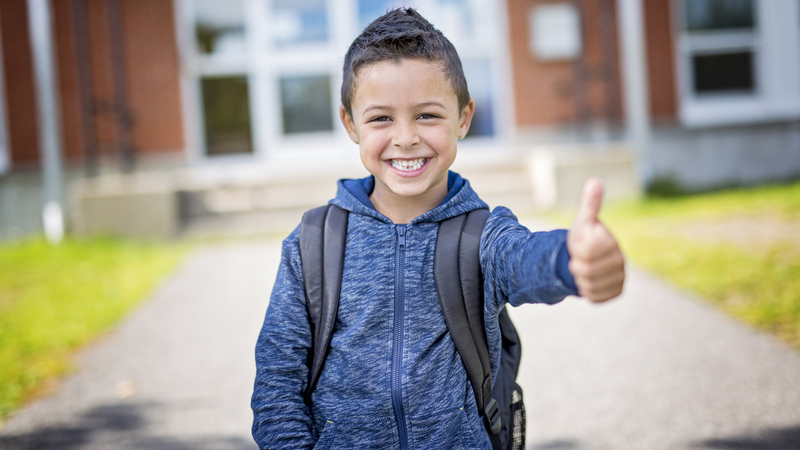 Many school districts have found that restorative practices offer an effective approach to encouarging positive student behavior, improving school climate, and decreasing the need for suspensions. Some districts, including Montgomery, Anne Arundel, Baltimore County, and Baltimore City, plan to implement restorative practices throughout all of their schools. Schools in other counties, including Dorchester, Worcester, Frederick, Calvert, Charles, Howard, and Prince George’s, have integrated restorative practices in some schools. Restorative practices use preventive and responsive dialogue-based interventions that focus on building strong school communities and helping students understand and comply with community behavioral expectations. Restorative schools focus primarily on prevention, using classroom dialogue circles and other communication tools that give students a greater sense of belonging and engage them in learning. This makes disruptive behavior less likely to occur in the first place. A continuum of informal and formal tools provide schools with a range of responsive interventions that hold students accountable for inappropriate conduct in a way that helps them learn and comply with behavioral expectations in the future. Although direct causation has not been empirically proven, schools using restorative practices report dramatic improvements in student behavior and better outcomes on a number of levels, such as improved school climate data, increases in student attendance and academic performance, and reduced need for suspensions. In 2017 the Maryland General Assembly created the Maryland Commission on the School-to-Prison Pipeline and Restorative Practices. Chaired by the Center for Dispute Resolution at the University of Maryland Carey School of Law, the 22-member Commission is tasked with studying school discipline practices in Maryland, examining national best practices, and recommending a plan for integrating restorative practices and other positive discipline strategies in schools throughout the state. The Commission will submit a report and a collaborative action plan to the Maryland General Assembly and Governor by the end of 2018. As the use of restorative practices in schools has grown, so has the capacity of Maryland-based providers to support the schools and communities. Organizations such as Restorative Response Baltimore, Center for Dispute Resolution at Maryland Carey Law, Positive School Center at University of Maryland School of Social Work, and community mediation centers, among others, have experienced staff and trainers to support schools as they seek to create a more restorative climate. The growth of restorative practices is not limited to K-12 schools. Several institutions of higher education in Maryland recognize the value in relationship-based proactive and reactive responses to instances of harm. For years, the University of Maryland Baltimore County has integrated restorative practices into its residence life programs and in addressing student conduct. Similar models are being explored by other Maryland universities. Excellence in education requires a commitment to creating optimal learning environments for all students. The Maryland State Department of Education has recognized the disproportionate impact of past disciplinary practices on student education and the need for improvement. Relational-based approaches to discipline like restorative practices hold great promise for the future of Maryland’s school children. Deborah Eisenberg and Toby Guerin manage the Center for Dispute Resolution at the University of Maryland Carey School of Law.